Beautiful 2 bedroom apartment at one of the best locations of Amsterdam; the Jordaan! -	Perfect for a single, couple or max. 2 sharers! 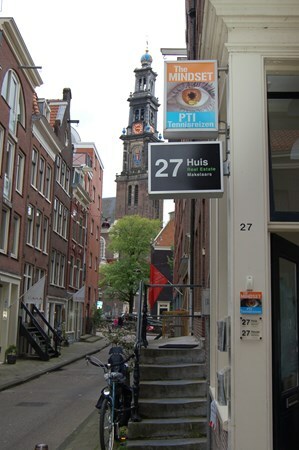 This nice 2 bedroom apartment is located in the middle of the Jordaan, at the Driehoekstraat. Around the corner you find shops and a lot of restaurants! Public transport and central station are just a few bike minutes away. When you enter the apartment you will first enter the hallway. From here you can enter all the rooms. First you will find the biggest bedroom, with a double bed, a big wardrobe and still enough space for your own stuff. From this bedroom you can go two ways, back to the hallway where you came from, or to another hallway where you will find the bathroom and the entrance to the other, also spacious, bedroom and the living room. The second bedroom also has a double bed and a wardrobe. The living room with open kitchen is light and modern and has a nice view over the street. The kitchen has everything you need, such as a dishwasher, a separate fridge-freezer and an oven. Downstairs you find a shared garden.